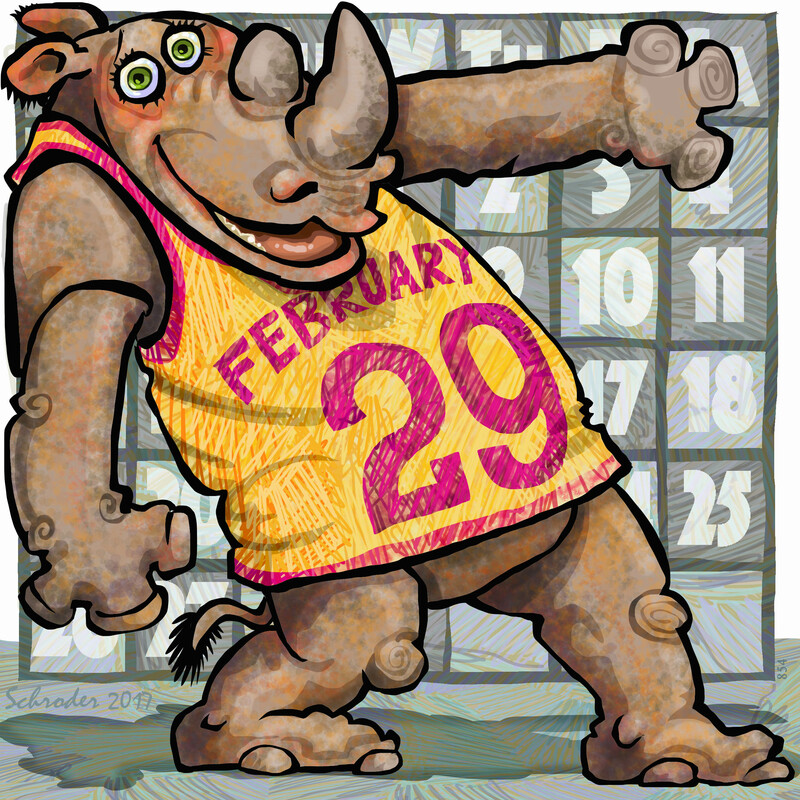 Tomorrow would be February 29, if it were allowed. There is an explanation for why not, but We don’t really get it. Poor counters, Rhinos. It seems to Us that We could just add it every year and abbreviate March (or January) by a day. Makes sense, right? Please keep your eyes peeled, in case you encounter the 29th craving attention.